What would it look like if your community came together to respond, first hand, to meet the needs of those who make up your community? Can you imagine what this would look like? Working in the education industry herself, she saw firsthand the limitations of being able to impact her own students, beyond the classroom. In her own words, Linda shares the journey of what took place. In a dialogue with her husband, with a pen and a napkin, they began to envision what is now known as ReImagine, a ministry with a goal to “ReImagine” their own communities. They are doing just that! Their most recent event was ReImagine Brownsville. Over 250 volunteers from around the community responded along with many brothers and sisters from the church in the surrounding areas. Pastor Evan Horton of Brownsville Assembly of God shared, “The only thing that is going to make a difference is that we help each other. The important thing is that we unite together. A person by themself will fall, but they won’t if they join hands with someone else.” Not only is an event like this impacting individual lives, as well as families, but it is impacting the entire community. We live in such a blessed land, if we are not careful, we can overlook the overwhelming need in our own communities. It may be hard to consider that such a need is present. By seeing these very realities and the many faces of the volunteers, those who responded in order for their needs to be met, the testimonies, and the many more stories, it causes you to begin to ReImagine what your community could look like when the Church comes together. If these realities were not powerful enough, hear the mighty story of ‘Eternal MC’ who once lived a life of crime is now sharing the love of Jesus Christ on the very plot of land that he was arrested on, and so much more. Also shared in this segment: needy, homeless, vision, obedience, humility, vision, 7 mountains, education, families, salvation, testimony, music, and unity. 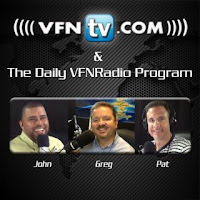 Greg, John, and Linda shared in this segment.